Size: 30" bust, 26" waist and 33" hips. This Butterick "Current Classic" pattern has three styles ranging from oriental inspired, closing with frogs to Hollywood movie stars evening jacket that fastens with a zipper. 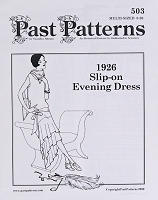 Illustrated instructions include embroidery directions. 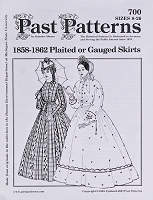 Pattern dates to 1940s. Suggested Fabrics: Velveteen, Velvet, Flannel, Faille Silk, Moire, Satin Metallic Silk or Rayon Crepe, Pique, Linen. Spangles and Tinsel Thread for Embroidery. Materials Required: 2-1/4 Yds. 44" wide fabric.